Are you looking for a system to quickly generate leads for your business? When you start with the INSTAPAGE FREE TRIAL you’ll be able to experience these features. Within minutes, you can build complex layouts with our click-to-add interface without touching a single line of code. They provide seamless integration with CRM, email marketing, social, and optimization tools with no programming required. The A/B testing tool lets you track visitor behavior, compare conversion rates, and pick the best-performing landing page. 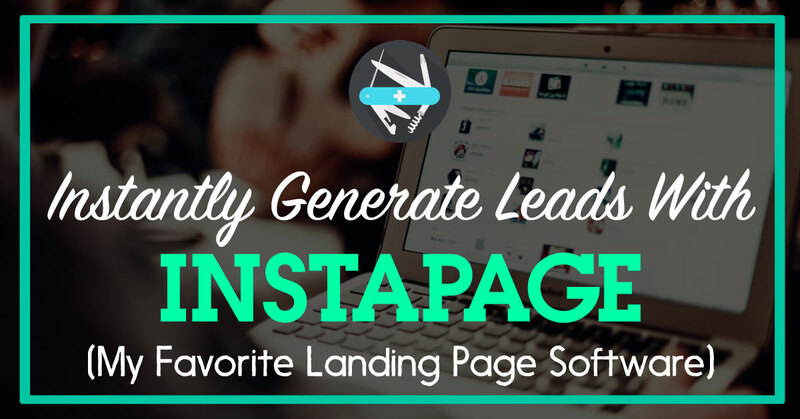 Instapage lets you build and publish landing pages that work exactly like they’re part of your website. Live editor provides straight forward drag & drop functionality for advanced customization. You can connect multiple accounts from the same email provider, e.g. 2 MailChimp accounts. You can download a CSV file of all of the email addresses you have collected as well as getting notifications for when new email addresses are collected. Visual editor has undo/redo functionality so you can easily correct any mistakes. Mobile versions of your pages can be edited specifically for mobile users, rather than relying on an auto responsive version. Free account available with limited features. 99 templates with a wide variety of designs.